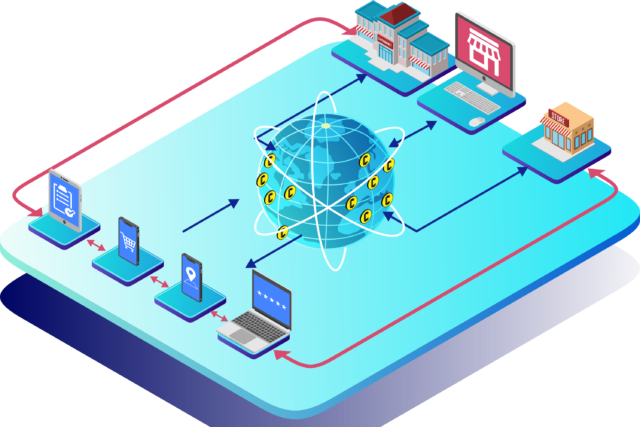 We are building a massive DApp where users can locate businesses that accept cryptocurrency. Much of the current information on the internet about businesses that accept cryptocurrency is inaccurate and we hope to become the most useful resource for people to ACTUALLY USE CRYPTO AS IT WAS INTENDED!!! Our “interactive map of businesses that accept crypto” is a decentralized app using a smart contract (SPOT tokens are automatically sent when a user performs a certain action). Users and businesses are rewarded for chatting, fact checking, shopping, visiting businesses and participating in augmented reality and cryptographic treasure hunt events. The DApp uses the Tron Virtual Machine network and all of its amazing developer resources to provide a much-needed tool to the crypto community. Thousands of people can only hodl their bags because there are no resources for using these assets. Our unique ecosystem will open an entire world of possibilities to all cryptocurrency users around the world by uniting retailers and customers through this application. Very exciting project we have here with one of the strongest use cases to ever be seen! We will be listed on the DEX and more exchanges after launch. Help take part in a daring idea that will drastically change cryptocurrency and how we use it! ANN thread coming very soon. Join our Discord for more info.